Iâ€™ve been listening to Scott Simonâ€™s distinctive voice on NPRâ€™s â€œWeekend Editionâ€ for years. After reading this article I know he also has a distinctive, elegant, and loving voice via Twitter. For those of us who havenâ€™t yet found a way to take full advantage of Twitter, read Simonâ€™s tweets about the last days of his motherâ€™s life. After reading them myself, I had to share this article with you. Hereâ€™s the link if you want to read the entire Los Angeles Times article. You can also listen to Simon’s words on the NPR site. 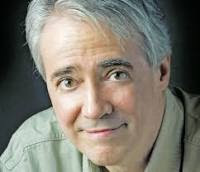 Scott Simon, a radio host for NPRâ€™s â€œWeekend Edition,â€ gave his mother, Patricia Simon Newman Gilband, a very public farewell. For the last few days, Simon, who has more than a million followers on Twitter, has been tweeting odes and observations from his motherâ€™s bedside in an intensive-care unit in a Chicago hospital, where she was dying. I just want to say that ICU nurses are remarkable people. Thank you for what you do for our loved ones. All hospitals should have roll-out chairs in ICU rooms so loved ones can spend night w/ patients & not sleep on floor. Tnx for all but wishes for my mother in ICU. Her anthem, more than ever, is But I’m Still Here. She inspires us all. I consider this a good sign: mother sez when time comes, obit headline should be Three Jewish Husbands, But No Guilt. My mother drifts to sleep listening to Nat’s Unforgettable. I keep things light, but moments like this hard, if sweet. My mother is breathing, finally sleeping. Docs asked what priority is. I just want to take her to sit in our favorite park. I don’t know how we’ll get through these next few days. And, I don’t want them to end. And: listen to people in their 80’s. They have looked across the street at death for a decade. They know what’s vital. Oh, and: Oh earth, you’re too wonderful for anyone to realize you. It goes too quickly. In middle of nights like this, my knees shake as if there’s an earthquake. I hold my mother’s arm for strength–still. Her passing might come any moment, or in an hour, or not for a day. Nurses saying hearing is last sense to go so I sing & joke. All direct quotes are shown in italics.